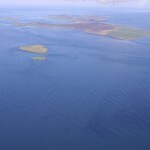 Crown Estate Scotland has granted an extension to the European Marine Energy Centre’s (EMEC) lease for the Fall of Warness tidal energy test site in Orkney until 2040. The extension will support the long-term ambitions and demonstration plans of EMEC’s clients. EMEC’s Fall of Warness site offers developers of tidal energy technologies eight grid-connected test berths ranging from 12-50 metres in depth. Located off Eday, one of Orkney’s northern isles, the Fall of Warness boasts high-velocity tidal flows reaching up to four metres per second (around eight knots). It is estimated that around half a billion tonnes of water pass through EMEC’s site per hour at spring tides. Since the site was officially opened in 2007, ten tidal energy companies have tested 19 prototypes. Most demonstration projects involve multiple deployments and operations which over time have evolved to developers using smaller, lower-cost, local vessels. 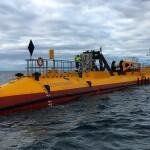 Demand for the EMEC tidal test facilities is steady, with Spanish tidal developer, Magallanes Renovables, having deployed their 2 MW ATIR tidal turbine this month [February 2019] as part of the Ocean_2G project. Scottish developer, Orbital Marine Power (formerly Scotrenewables) recently removed their SR1-2000 tidal turbine from the site, following 3 GWh of generation during their latest testing period. They are now focusing on the development of a further optimised 2 MW tidal turbine, the Orbital O2, which will be installed as part of the FloTEC and ITEG projects in 2020. Both developers are return clients, having demonstrated previous iterations of their technologies at EMEC sites, thus indicating the need for multiple prototype tests prior to commercialisation. “By extending the lease at EMEC’s Fall of Warness tidal test site we can provide our clients, their shareholders and potential investors with long-term assurance for those contracted to test their tidal generators with us. 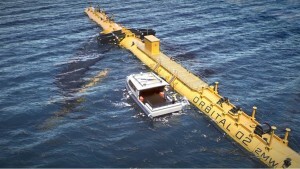 Orbital Marine Power, the test centre’s longest standing tenant, was recently awarded a marine licence to test its upcoming commercial production tidal turbine, the Orbital O2, at EMEC for a project running up to 2039.